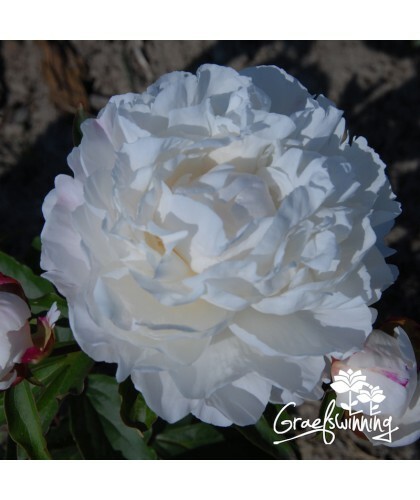 Paeonia lactiflora "Gardenia". 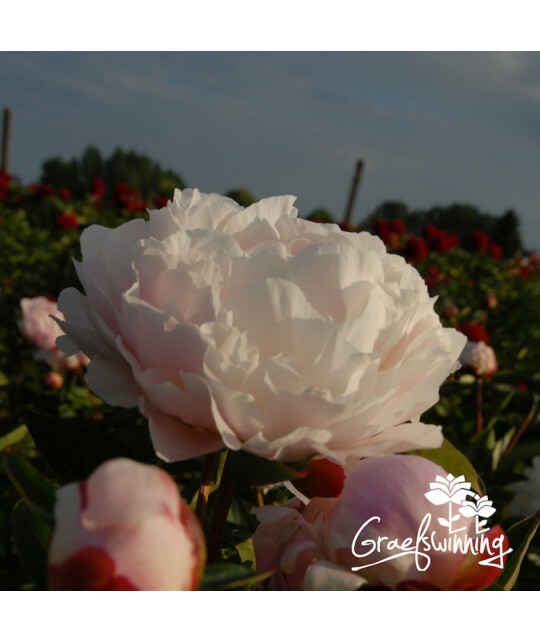 Depending on the weather conditions the buds colour white or blush, but always turn into perfect white double flowers. Gardenia flowers early in the season and has become one of our favourite classic peonies. 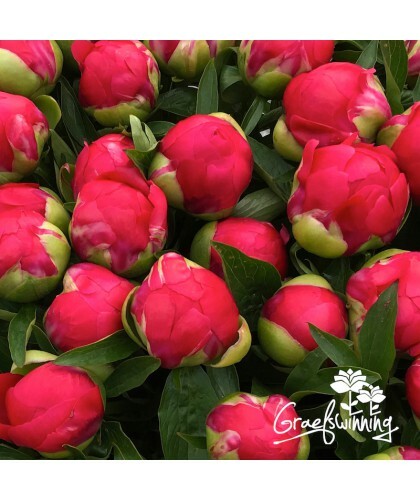 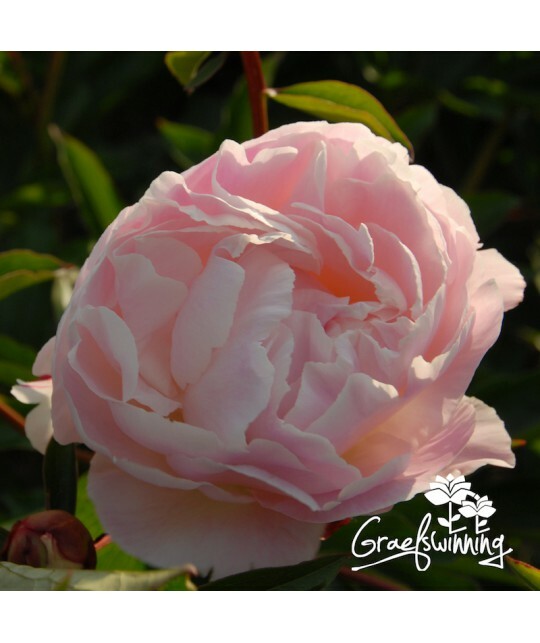 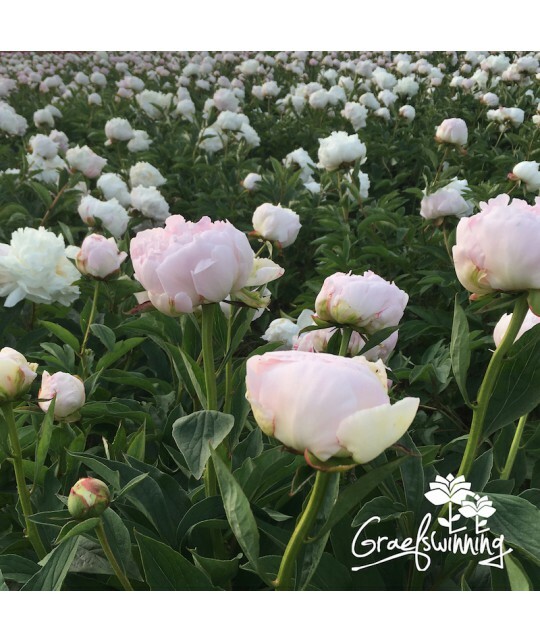 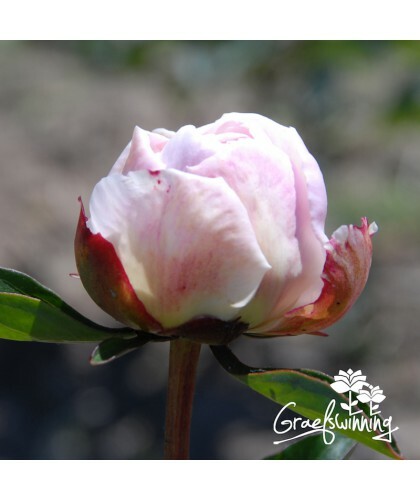 Lightly scented, strong stems, healthy foliage, plenty of buds and a compact growth, it ticks all the boxes of a robust landscape peony and long lasting cut flower. More peonies by Lins E. H.